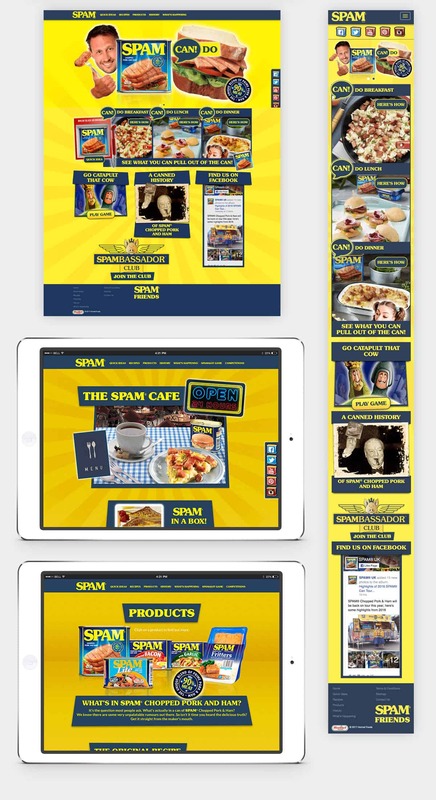 The SPAM® family of products is all around us. In sandwiches, salads, mac and cheese; with eggs, cheese or pineapples; sliced, diced, baked or fried – the combinations are endless. 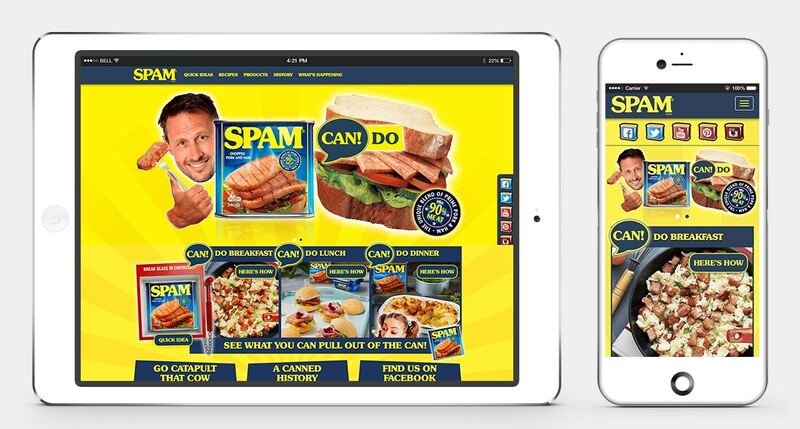 SPAM is a classic canned product has been around since the 1940’s and generates many perceptions and emotions. We were briefed to celebrate its heritage while making it relevant to contempary users with a fun bright engaging design and UI.